Our heaters are broken, so I am wearing all the clothes I own at once. 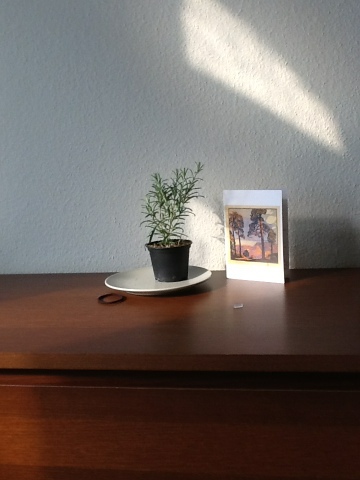 My rosemary plant, also a chilly transplant from a Mediterranean climate. 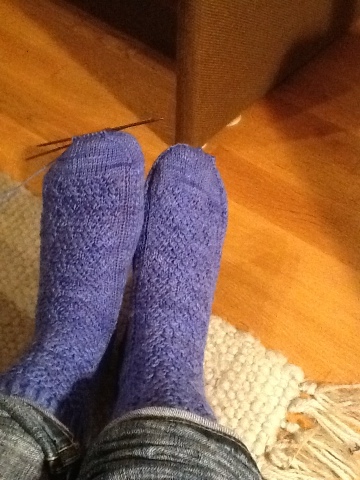 I finished my socks, though! Also started my handwarmers. 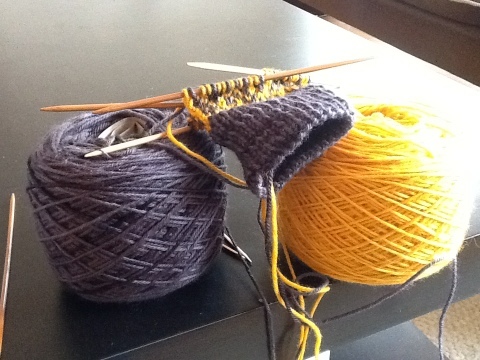 The pattern is the Endpaper Mitts, which is one of the most popular patterns on Ravelry. 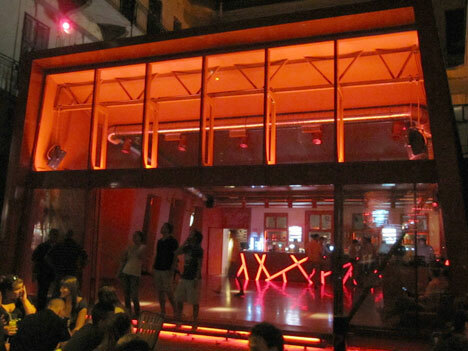 Last night a bunch of us went out to dinner at Cafe Vian on Franz Lizst Square down near Oktogon. The food was pretty excellent– I got a great club sandwich on brown bread, and we also tried Chicken Paprikash, a dijon chicken dish, and goulash soup. They also do excellent milkshakes and the best-looking breakfast I’ve seen in Budapest. Afterwards, we met up with my third roommate and her boyfriend at Doboz, a semi-upscale ruin pub just a few blocks riverward of my apartment. We sat around drinking hot wine under the crazy light fixtures until the people who live in Buda had to leave to catch the last bus back. I don’t know how you find these sites, but they are awesome!!! There’s even a ton of gluten free recipes! My grocery store run just got a lot more exciting! Hope someone fixes your heaters tomorrow! Punchfork is fun to browse through. Thanks for the recommendation!